These are the best sounding SUVs on the market. Performance SUVs have become a very big segment. Buyers love the idea of having a car that can haul the whole family and still set a fast lap on the Nurburgring. However, just because an SUV is blisteringly fast doesn't mean it sounds great or is particularly memorable. We've decided to pick our five favorite SUVs based only on how good their engine and exhaust notes are. The SUVs on the list are extremely fast, and sound so good that you'd swear a sports car just drove past. Mercedes is slapping AMG badges on almost all of its models, the latest of which is the GLC. 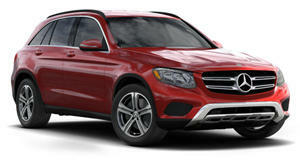 Based on the C-Class, this crossover has been given the 4.0-liter twin-turbo V8 from the C63 AMG. The engine produces either 463 or 503 hp depending on trim, and sounds just like the AMG GT sports car. The Jaguar F-Type is one of the best sounding sports cars on the market. 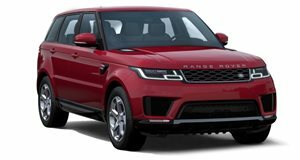 Land Rover decided to use the same 5.0-liter supercharged V8 from the F-Type in the Range Rover Sport SVR. This amazing SUV produces 550 hp and enough noise to make a Ferrari owner jealous. 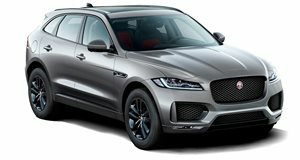 The Jaguar F-Pace is the first V6 SUV on this list. The F-Pace may be down a few cylinders, but it borrows its 3.0-liter supercharged V6 from the F-Type, which is one of the best six-cylinder sounds of all time. It produces 380 hp in S trim, and sounds wonderful. The Maserati Levante has never been one of our favorite performance SUVs, but we can't argue that it is one of the best sounding on the market. 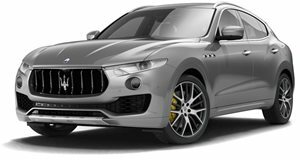 The Levante's 3.0-liter twin-turbo V6 produces 424 hp in S trim and makes all of the right crackles and pops. Maserati could soon drop a V8 in the Levante and make it sound even better. The final SUV on this list is the also the most powerful. Jeep went crazy and dropped the 6.2-liter supercharged 707 hp V8 engine from Hellcat into the Grand Cherokee. 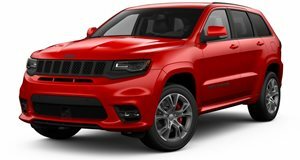 The Grand Cherokee Hellcat will be one of the most insane SUVs on the market, and one of the best sounding.